Could Tech Make Government As We Know It Irrelevant? Governments are one of the last strongholds of an undigitized, linear sector of humanity, and they are falling behind fast. Apart from their struggle to keep up with private sector digitization, federal governments are in a crisis of trust. At almost a 60-year low, only 18 percent of Americans reported that they could trust their government “always” or “most of the time” in a recent Pew survey. And the US is not alone. 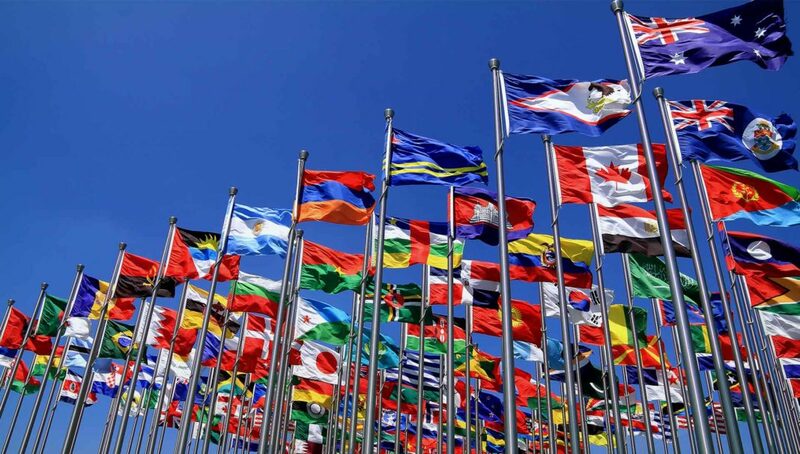 The Edelman Trust Barometer revealed last year that 41 percent of the world population distrust their nations’ governments. In many cases, the private sector—particularly tech—is driving greater progress in regulation-targeted issues like climate change than state leaders. And as decentralized systems, digital disruption, and private sector leadership take the world by storm, traditional forms of government are beginning to fear irrelevance. However, the fight for exponential governance is not a lost battle. Early visionaries like Estonia and the UAE are leading the way in digital governance, empowered by a host of converging technologies. States and their governments have forever been tied to physical territories, and public services are often delivered through brick-and-mortar institutions. Yet public sector infrastructure and services will soon be hosted on servers, detached from land and physical form. Enter e-Estonia. Perhaps the least expected on a list of innovative nations, this former Soviet Republic-turned digital society is ushering in an age of technological statecraft. Hosting every digitizable government function on the cloud, Estonia could run its government almost entirely on a server. Starting in the 1990s, Estonia’s government has covered the nation with ultra-high-speed data connectivity, laying down tremendous amounts of fiber optic cable. By 2007, citizens could vote from their living rooms. With digitized law, Estonia signs policies into effect using cryptographically secure digital signatures, and every stage of the legislative process is available to citizens online. Citizens’ healthcare registry is run on the blockchain, allowing patients to own and access their own health data from anywhere in the world—X-rays, digital prescriptions, medical case notes—all the while tracking who has access. Today, most banks have closed their offices, as 99 percent of banking transactions occur online (with 67 percent of citizens regularly using cryptographically secured e-IDs). And by 2020, e-tax will be entirely automated with Estonia’s new e-Tax and Customs Board portal, allowing companies and tax authority to exchange data automatically. And i-Voting, civil courts, land registries, banking, taxes, and countless e-facilities allow citizens to access almost any government service with an electronic ID and personal PIN online. But perhaps Estonia’s most revolutionary breakthrough is its recently introduced e-residency. With over 30,000 e-residents, Estonia issues electronic IDs to global residents anywhere in the world. While e-residency doesn’t grant territorial rights, over 5,000 e-residents have already established companies within Estonia’s jurisdiction. After registering companies online, entrepreneurs pay automated taxes—calculated in minutes and transmitted to the Estonian government with unprecedented ease. The implications of e-residency and digital governance are huge. As with any software, open-source code for digital governance could be copied perfectly at almost zero cost, lowering the barrier to entry for any group or movement seeking statehood. We may soon see the rise of competitive governing ecosystems, each testing new infrastructure and public e-services to compete with mainstream governments for taxpaying citizens. And what better to accelerate digital governance than AI? Just last year, the UAE became the first nation to appoint a State Minister for AI (actually a friend of mine, H.E. Omar Al Olama), aiming to digitize government services and halve annual costs. Among multiple sector initiatives, the UAE hopes to deploy robotic cops by 2030. Meanwhile, the U.K. now has a Select Committee on Artificial Intelligence, and just last month, world leaders convened at the World Government Summit to discuss guidelines for AI’s global regulation. With biometrics and facial recognition, traditional checkpoints will soon be a thing of the past. Cubic Transportation Systems—the company behind London’s ticketless public transit—is currently developing facial recognition for automated transport barriers. Digital security company Gemalto predicts that biometric systems will soon cross-reference individual faces with passport databases at security checkpoints, and China has already begun to test this at scale. While the Alibaba Ant Financial affiliate’s “Smile to Pay” feature allows users to authenticate digital payments with their faces, nationally overseen facial recognition technologies allow passengers to board planes, employees to enter office spaces, and students to access university halls. With biometric-geared surveillance at national borders, supply chains and international travelers could be tracked automatically, and granted or denied access according to biometrics and cross-referenced databases. Leveraging predictive analytics, China is also working to integrate security footage into a national surveillance and data-sharing system. By merging citizen data in its “Police Cloud”—including everything from criminal and medical records, transaction data, travel records and social media—it may soon be able to spot suspects and predict crime in advance. But China is not alone. During London’s Notting Hill Carnival this year, the Metropolitan Police used facial recognition cross-referenced with crime data to pre-identify and track likely offenders. AI may soon be reaching legal trials as well. UCL computer scientists have developed software capable of predicting courtroom outcomes based on data patterns with unprecedented accuracy. Assessing risk of flight, the National Bureau of Economic Research now uses an algorithm leveraging data from hundreds of thousands of NYC cases to recommend whether defendants should be granted bail. But while AI allows for streamlined governance, the public sector’s power to misuse our data is a valid concern and issues with bias as a result of historical data still remain. As tons of new information is generated about our every move, how do we keep governments accountable? Without doubt, alongside AI, government’s greatest disruptor is the newly-minted blockchain. Relying on a decentralized web of nodes, blockchain can securely verify transactions, signatures, and other information. This makes it essentially impossible for hackers, companies, officials, or even governments to falsify information on the blockchain. As you’d expect, many government elites are therefore slow to adopt the technology, fearing enforced accountability. But blockchain’s benefits to government may be too great to ignore. First, blockchain will be a boon for regulatory compliance. As transactions on a blockchain are irreversible and transparent, uploaded sensor data can’t be corrupted. This means middlemen have no way of falsifying information to shirk regulation, and governments eliminate the need to enforce charges after the fact. Apply this to carbon pricing, for instance, and emission sensors could fluidly log carbon credits onto a carbon credit blockchain, such as that developed by Ecosphere+. As carbon values are added to the price of everyday products or to corporations’ automated taxes, compliance and transparency would soon be digitally embedded. Blockchain could also bolster government efforts in cybersecurity. As supercities and nation-states build IoT-connected traffic systems, surveillance networks, and sensor-tracked supply chain management, blockchain is critical in protecting connected devices from cyberattack. But blockchain will inevitably hold governments accountable as well. By automating and tracking high-risk transactions, blockchain may soon eliminate fraud in cash transfers, public contracts and aid funds. Already, the UN World Food Program has piloted blockchain to manage cash-based transfers and aid flows to Syrian refugees in Jordan. Blockchain-enabled “smart contracts” could automate exchange of real assets according to publicly visible, pre-programmed conditions, disrupting the $9.5 trillion market of public-sector contracts and public investment projects. Eliminating leakages and increasing transparency, a distributed ledger has the potential to save trillions. It is truly difficult to experiment with new forms of government. It’s not like there are new countries waiting to be discovered where we can begin fresh. And with entrenched bureaucracies and dominant industrial players, changing an existing nation’s form of government is extremely difficult and usually only happens during times of crisis or outright revolution. Perhaps we will develop and explore new forms of government in the virtual world (to be explored during a future blog), or perhaps Sea Steading will allow us to physically build new island nations. And ultimately, as we move off the earth to Mars and space colonies, we will have yet another chance to start fresh. But, without question, 90 percent or more of today’s political processes herald back to a day before technology, and it shows in terms of speed and efficiency. Ultimately, there will be a shift to digital governments enabled with blockchain’s transparency, and we will redefine the relationship between citizens and the public sector. One day I hope i-voting will allow anyone anywhere to participate in policy, and cloud-based governments will start to compete in e-services. As four billion new minds come online over the next several years, people may soon have the opportunity to choose their preferred government and citizenship digitally, independent of birthplace. In 50 years, what will our governments look like? Will we have an interplanetary order, or a multitude of publicly-run ecosystems? Will cyber-ocracies rule our physical worlds with machine intelligence, or will blockchains allow for hive mind-like democracy? The possibilities are endless, and only we can shape them. Abundance-Digital Online Community: I’ve created a digital community of bold, abundance-minded entrepreneurs called Abundance-Digital. Abundance-Digital is my ‘onramp’ for exponential entrepreneurs – those who want to get involved and play at a higher level. Click here to learn more. 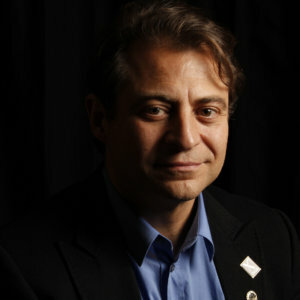 Dr. Peter Diamandis was named by Fortune Magazine as one of the World’s 50 Greatest Leaders. He is Executive Founder of Singularity University, a Silicon Valley institution that counsels the world’s leaders on exponentially growing technologies.